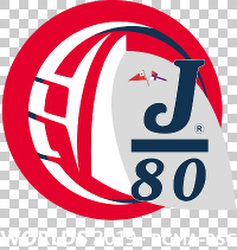 J/News Articles: Announcing The 2019 J/80 World Championship! (Bilbao, Spain)- From the 13th to 20th of July, the Real Club Maritimo del Abra and the Real Sporting Club will host the 2019 J/80 World Championship in the gorgeous waters off Arenas/ Bilbao (the Basque country of Spain). The class expects over 75 boats and more than 500 sailors from all over the world that will compete for the title on the challenging conditions of the Cantabrian Sea. 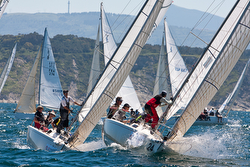 Spain has previously hosted the J/80 World Championship in Santander (2009) and in Sotogrande –Cádiz- (2016). For the host nation, it will be a real fight for national honors for the top three teams from last year’s 2018 J/80 Copa de Espana that were held on the same waters. Winning that event was ONO EUROFRITS-AVIKO sailed by local Cantabrian Daniel de la Pedraja; the silver went to a J/80 World Champion- BRIBON MOVISTAR- sailed by Marc de Antonio Altimira; and the bronze was taken by a double J/80 World Champion, Ignacio Camino’s PAR! Will history repeat itself again? Or, will the top French, German, or United Kingdom teams have done enough homework, refined their speed and tuning, to displace those hot Spanish teams from the podium? There is no question many leading J/80 crews across Europe are already working hard on that idea! “As Chairman of the RCMA-RSC and skipper on a J/80, I would like to encourage you to take part in the upcoming J/80 World Championships that are going to be held in the Port of Bilbao from the 13th to the 20th of July 2019. Our Club is fully committed to making this regatta a success, especially as it is a one-of-a-kind event for the Club since it was founded 120 years ago. During race week you will not only be able to enjoy sailing on a magnificent course, but also enjoy a variety of social events organized ashore where you will get a first-hand taste of the wonderful gastronomy and hospitality our Club and our Getxo region. Nearby Bilbao and the Basque Country, in general, are also ideal holiday destinations for you and your companions. I would also like to express my gratitude to the Spanish J/80 Class Association and to other worldwide national associations for their backing of our bid to host these Championships. Likewise, I would also like to thank the public institutions who have given us their full support and the private companies that have helped us in this bid; in particular, BRITTANY FERRIES, COCA COLA, and EL CORREO. I sincerely hope many J/80 sailors from around the world take part in this fantastic event (an “open” J/80 Worlds), it’s a beautiful place to sail and the food, wine, ambience, hospitality are second to none,” commented the Chairman of the RCMA-RSC, D. Ramón Zubiaga Garteiz-Goxeascoa. With the practice race scheduled for Sunday, racing commences on Monday, July 15th with the goal to run as many as fifteen races by Friday, July 19th. At the conclusion of racing, the World Championship title will be awarded along with trophies for the best Women’s team, top Youth team, top Masters, top Mixed, and the top Corinthian crews. For more 2019 J/80 World Championship sailing information Add to Flipboard Magazine.